Usually, CO2 ratings and performance are quite uniformly linked: the lower the CO2, the lower the performance. However, car manufacturers are getting better at squeezing maximum grunt out of their engines while lowering CO2, meaning there are some cars that skew the line a bit. So here are 10 new and relatively cheap cars that are quite quick, but that you won’t have to pay the taxman a fortune in VED to run. They’re all ‘conventional’ - so no electric cars or expensive hybrids allowed. 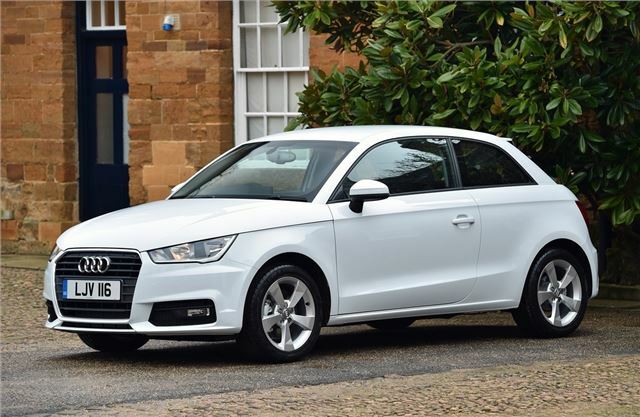 Audi has one of the best petrol engines on the market in the 1.4 TSI CoD (Volkswagen's ACT engine by another name), and while it suits the character of the A1 better than any diesel, getting that engine isn’t cheap. That’s why the basic A1 1.6 TDI SE looks such good value: less than £16,000, quite quick and 74.3mpg.